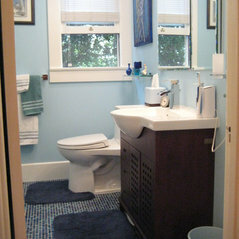 Real Vida is a general contracting company, since 2007 we specialize in home remodeling. We focus on planning, estimating, budgeting and controlling costs in order to reach the vision and expectation of our clients. 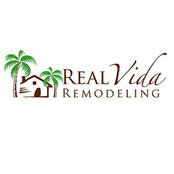 By running specialized crews in the vast trades, we at Real Vida Remodeling ensure that quality work is performed on each project and guarantee the completion dates in order to reach our number one goal of client satisfaction and the success of the company and that is what we mean by Real Vida! Our services include exterior renovations, kitchen remodels, bathroom and master bedroom remodels, family rooms, room additions, and outdoor living spaces. What we truly offer clients, however, is something less tangible than the nails, wood and tile that are part of the renovation process. Our teams of designers and builders are highly trained to listen to you so that they can expertly turn your vision into a reality. Our employees are thoughtful, creative and highly-qualified. We are very proud to announce that key members of our Design Team are now certified as Aging in Place experts, allowing Real Vida to add this remodeling specialty to our roster of services. Our results speak for themselves. 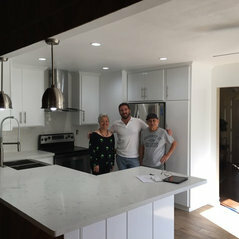 We’ve garnered many experience over the years, but we take the most pride in our many positive client testimonials. Trust your home to us. You won’t be disappointed.